Single’s Day | What is it all about? Each year on November 11th, the world’s largest online shopping festival takes place, known as Single’s Day. Never heard of Single’s Day? Well here is a crash course in everything you need to know. Single’s Day started in 1993 at Nanjing University, a public university in China. This day was developed as a way for students to celebrate being single. The date, 11/11, was chosen as the four “1’s” signifies four individuals. This is believed to be the work of four male students who agreed to celebrate their singledom on 11/11. The Chinese saying “If you cannot be with someone you like, you can at least be with something you like” perfectly embodies the theme of this shopping event. 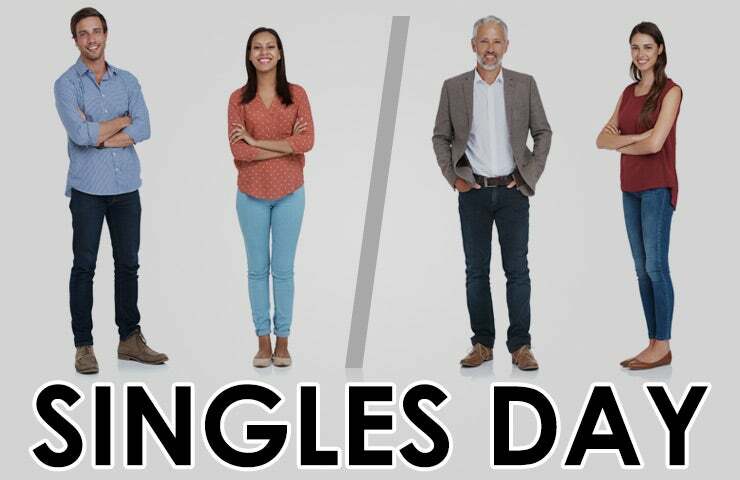 Single’s Day has gained popularity outside of China with the help of online marketers aiming to reach young Asians across the globe. Many websites will offer deep discounts on November 11th so be sure to shop for some amazing deals! For Single’s Day, shoppers ar e focused on splurge-worthy gifts… for themselves! 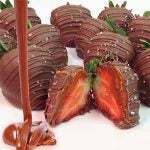 Our Sea Salt Caramel & Milk Chocolate covered Strawberries are a decant treat to celebrate being single. Luscious strawberries are enrobed in creamy caramel, dipped into rich Belgian milk chocolate, then sprinkled with sea salt. 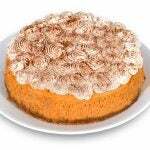 Pumpkin cakes are a popular Asian dessert. While these can be hard to find in the US, our Pumpkin Cheesecake is a sweet stand-in. Inside our signature graham cracker crust, we’ve combined two delicious treats together to create one incredible dessert! This blissfully smooth cheesecake is infused with sweet pumpkin puree, elegantly topped with thick whipped cream, and evenly dusted with freshly ground cinnamon. luck and happiness. 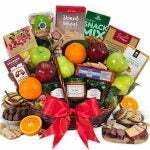 Our Bountiful Harvest Basket includes an exquisite arrangement of freshly harvest orchard fruits, including crisp apples, juicy oranges, and sweet pears, that are nestled amongst coveted gourmet foods. Plus, this basket is wrapped up in a big red bow to bring good luck and happiness! I think we can all celebrate the philosophy of this holiday and splurge on ourselves for a special treat.